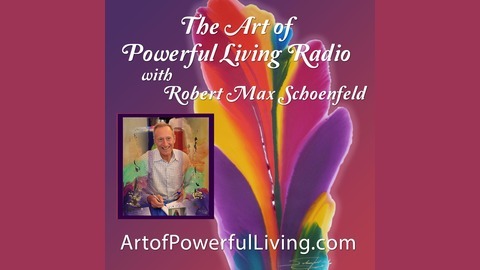 Tune-in each month to The Art of Powerful Living with Robert Schoenfeld The goal for The Art of Powerful Living is to inspire every human to live lives that are Rich, Fulfilling, On Purpose and Fun. This hit show is a fresh approach to boldly living our lives with Creativity, Courage, Patience, Wisdom, Love, and Power. Join Robert each month with Dr. Pat Baccili for The Art of Powerful Living. 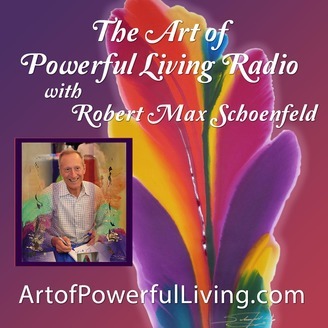 Robert Schoenfeld is a gifted Artist, Author, Joy Activist, Teacher, Healer, and Radio Host.Robert has traveled the world and observed levels of JOY, HAPPINESS, LOVE, and more in each place, he has visited. Now Robert is stepping into the world to introduce The Art of Powerful Living. Robert uses his art, aromatherapy, and knowledge of powerful living to inspire every human to live lives that are Rich, Fulfilling, On Purpose and Fun.Robertrsquos art is collected by corporate and private collectors throughout the US and the world, including: Boeing Corporation, Hewlett-Packard, IBM London, Nordstrom, Citicorp, Swedish Hospital, Westin Hotels, and Sheraton Hotels. For The Love Of Joy – A 30 Day Adventure to bring more Joy into Your Life with Author Robert Max Schoenfeld - now on Kindle! 2018 This Year – Living The Art Of Powerful Living!